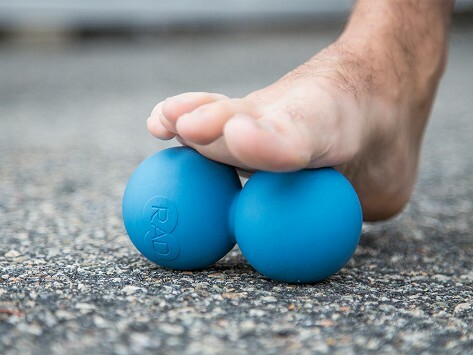 RAD’s massage roller features two conjoined rubber balls that are perfectly contoured to work out small knots or relieve tired, achy feet. Roll it under your foot or across the back of your neck—anywhere that can use some gentle relief. The rubber texture is soft enough for skin but durable enough to effectively massage away tightness and can help flush toxins out of your soft tissue.